Alas, many career books give a false impression. 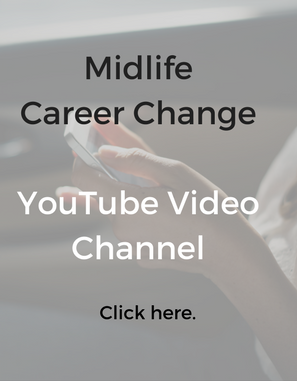 They suggest that career change proceeds at an orderly and very linear pace. Look inward to find out who you are. Find a career that matches your strengths. Apply for jobs in those fields. Come up with a few ideas that might work. Talk to people in those fields. Get referred to other people. Hit a few dead ends and realize your dream job isn’t all it’s cracked up to be. Your friend dashes off an email from his laptop. He tells you to call a certain number. You shake hands. You get on your plane for Portland. He gets on his plane for Tokyo. A few days later, you call the number. The job isn’t anything like what you’ve been looking for. But it sounds intriguing. You go on a few interviews that feel more like social chats with a bunch of old friends. 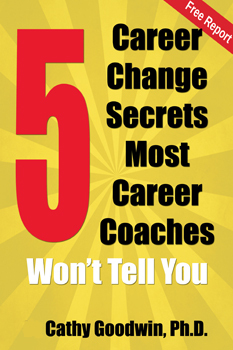 Before you can return a call from your career coach, you’re on a new payroll. Sounds far-fetched? “Brad” literally fell into his career. As a child, he tripped on the choir loft of his church, landing on top of the organ. He became fascinated watching the organ repair specialist who came to fix the damage. Eventually, he became the specialist’s apprentice and branched out to his own busy career that lasted over 40 years. He loved it. “Julie” graduated from law school but couldn’t find a law firm job in her medium-sized city. Out of desperation, she took a senior level job in a bank, telling everyone, “I’ll just be here six months. I hate banking and I’m not good with numbers.” Three years later, Julie is still with the bank — by choice. She likes the job and the people. And she keeps getting raises, even in a recession. Research on career change shows they’re not unusual. 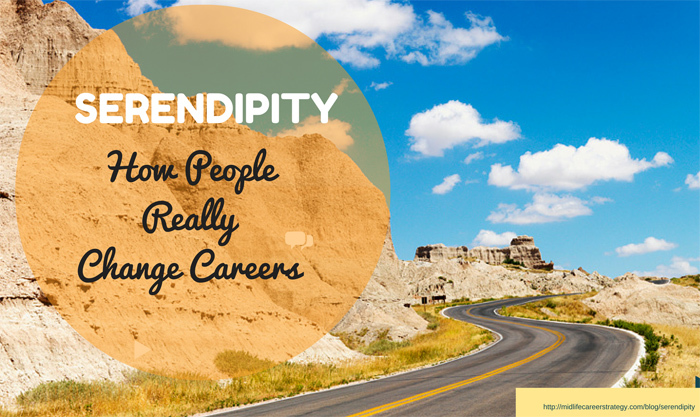 Most people owe their career choices to an unexpected event or chance meeting. So do you have to take a fatalistic approach? And the rest, as they say, will be history. Have you had a serendipitous moment yourself? Write in the comments below. 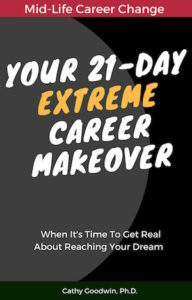 And if you’re looking for a roadmap for career change, check out the 21-Day Extreme Career Makeover. You’ll be taken through the process that leads to realistic career change — not fantasy!